Release Cleansing Shampoo is an extrastrength, yet extra gentle cleanser that removes build-up. With a built in moisturiser, Release is a superior cleanser that helps to prepare your hair for the Revive Repair Treatment. Renew Conditioning Sealant is an amazing low PH conditioner. Renew is specifically designed to be the finishing step for the Revive Repair Kit. Renew moisturises, conditions and seals in the health of your newly repaired hair. 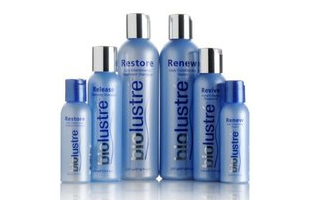 Restore Maintenance Treatment is a shampoo replacement that does so much more. With the active ingredients from Revive Repair Treatment, along with a moisturiser, Restore keeps your hair in incredible condition. Healthy, shiny and guaranteed thicker. Restore Maintenance Treatment delivers! Use with the Revive Repair Kit or by itself. Revive Repair Treatment is the only product on the market today which actually repairs hair. A safe home version of the salon hit, Revive restores your hair to a virgin state in just one application. Never fear multiple processes again, use Revive.